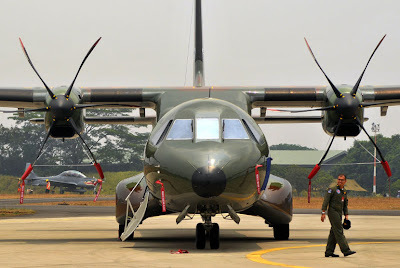 Indonesia could obtain up to seven additional Airbus Military C295 tactical transport aircraft, which would bring its eventual total of the type to 16 examples. 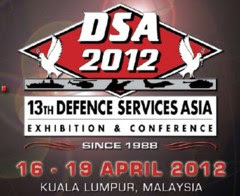 "The air force requires an additional seven aircraft," says Arie Wibowo, vice-president marketing and sales for PT Dirgantara Indonesia (PTDI). "Having 16 will allow them to form a full squadron." 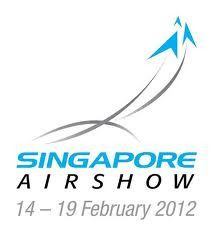 Jakarta entered a deal for nine C295s at the Singapore air show in February 2012. In addition to Jakarta's air force requirements, PTDI is promoting two C295s to the Indonesian National Police. The police would use them to transport special counter-terrorism teams. 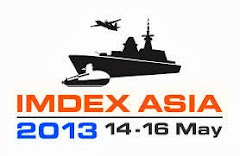 PTDI is also working with Airbus Military to promote the twin-engined turboprop to Malaysia and the Philippines. Jakarta has already received two completed aircraft (designated CN-295 in Indonesian service) from Airbus Military's Seville factory. The next five aircraft will be delivered in a green condition, with PTDI to customise the aircraft at a new Bandung delivery centre that it has set up for the programme. The last two aircraft of the original nine will be produced at a Bandung final assembly line, using kits sent from Airbus Military. The final assembly line would be used for the potential follow-on order for seven aircraft. Wibowo says PTDI also acts as a tier one supplier in the programme, producing the rear fuselage and the tail empennage.